The Potomac Officers Club continued its 2014 “Distiguished Speaker Series” Wednesday at 2941 Restaurant in Falls Church, Va. with the Federal Critical Infrastructure Summit. 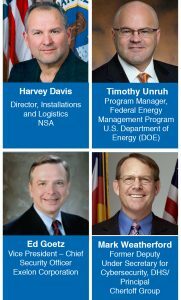 Leaders from the federal government and utility sectors offered the GovCon executive audience a first-hand perspective on their roles in helping secure critical infrastructure in the U.S. and how industry can help in this effort. Electric grids, renewable energy, new sources of power and how cybersecurity touches all of those aspects were primary points of discussion at the summit. Davis highlighted the importance of the nation’s infrastructure having both capacity and reliability, as well as having a long-term view to replace aging pieces of that infrastructure. Goetz overviewed the role executives in companies play in helping shore up their enterprise’s cybersecurity posture and how to manage that risk. Unruh discussed how the government has increasingly looked to energy performance saving contracts, where private companies put down an initial investment into renewable energy that is paid for by the savings the government intends to generate from the project. Weatherford charted the evolution of cybersecurity and how executives increasingly are becoming proactive in leading their companies to address potential cyber risks. The GovCon executive audience posed a series of questions to the speakers as part of a panel discussion during the summit’s second half. POC will turn its focus to cybersecurity on April 9 with the “2014 GovCon Cyber Summit, ” which will also feature a cadre of speakers from the public and private sectors. 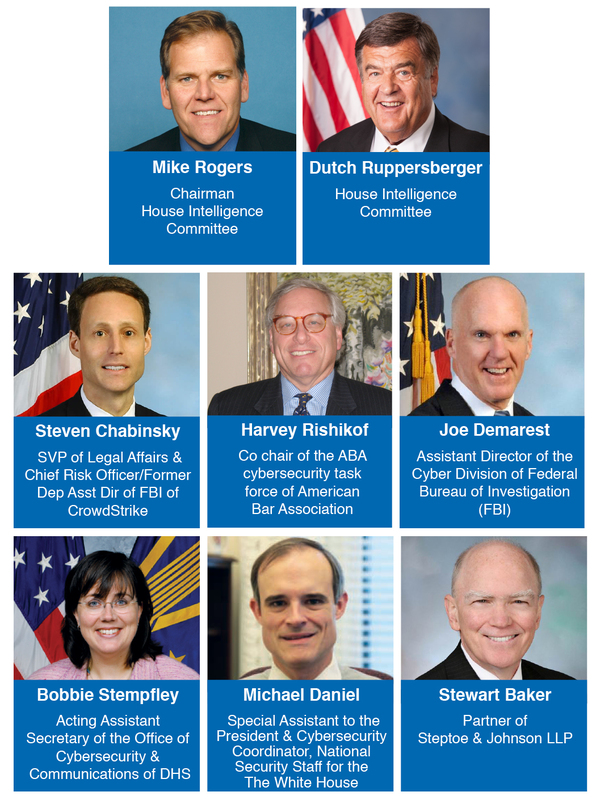 Mike Rogers and Dutch Ruppersberger, the top two lawmakers on the House Intelligence Committee, will share their perspective on Capitol Hill’s role in cybersecurity. Speakers from the executive branch will include Joe Demarest, assistant director of the FBI‘s cyber division; Bobbie Stempfley, acting assistant secretary of DHS’ cybersecurity and communications office; and Michael Daniel, special assistant to the president and cybersecurity coordinator for the White House’s national security staff. Steven Chabinsky, senior vice president of legal affairs and chief risk officer at CrowdStrike, will lend his perspective from the private sector and his prior service as a former FBI deputy assistant director. Stewart Baker, a partner at Steptoe & Johnson LLP, also will give his insight as a former assistant policy secretary at DHS.